Tanoshimini.com – The presence of FPS game with the theme of galactic war may be a wonderful thing. This is done by Electronic Arts as the publisher of a Star Wars: Battlefront. After success with Star Wars: Battlefront closed beta yesterday’s, DICE as the game maker said it will present three new modes that can be played when the game is released later. DICE announced it will add three new modes on the game such as Last Hero, Cargo and Droid Run. Each mission will have its own goal to win the game. Cargo would have like capture the flag mode, Droid Run will be a mode where you will collect as many points to win and what’s interesting is the Last Hero, you will be faced with 7 other players in condition 1 vs. 7. 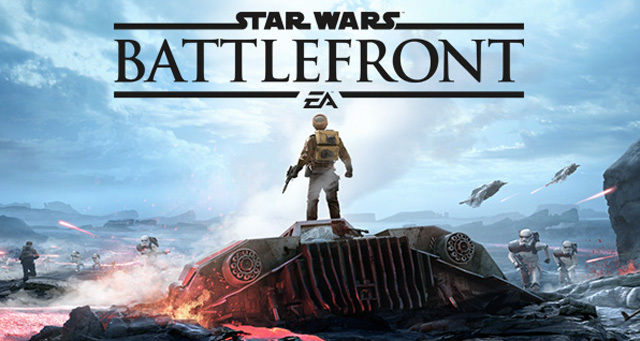 Star Wars: Battlefront will be release on the PC, PlayStation 4 and Xbox One on November 17, 2015. « Google will bring its applications to the Windows10? Google will bring its applications to the Windows10?